​Just when you thought Villanova's success story couldn't get any greater. The ​reigning 2018 National Champions won their second title in three years before sending four of their key players to the NBA Draft: National Player of the Year Jalen Brunson, Mikal Bridges, Donte DiVincenzo, and Omari Spellman. 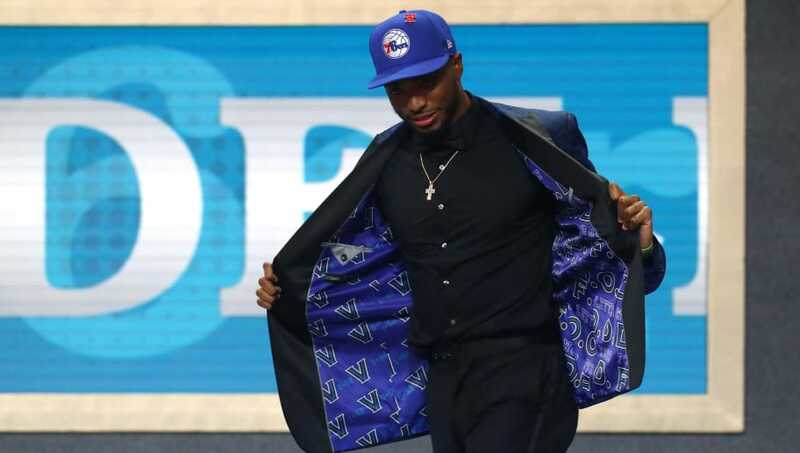 Draft night was another epic success for the Villanova Wildcats. This is the first time Villanova has ever had three 1st-round picks in the same draft. ​​Bridges, DiVincenzo, and Spellman all went in the first round, and Jalen Brunson was the 33rd overall selection in the second round. These picks broke Villanova's record for the most players to be drafted in the first round, and the most players drafted in a single draft. Mikal Bridges had the most interesting night of all. He was Philadelphia 76ers 10th pick, but during his press conference, he was traded to the Phoenix Suns. ​Though playing in his home state would have been legendary for the young star, Bridges handled the trade very professionally, saying that it was "a part of life." The last time that Villanova had two first-round picks in the draft was in 2006 with Wildcat legends Kyle Lowry and Randy Foye. More than a decade later, Villanova was able to shatter that record with three first-round picks, and a fourth only three picks away in the second round. 60 total Villanova players have now been drafted into the NBA. Bridges, DiVincenzo, and Spellman now join the coveted first-round list with players like Lowry, Ed Pickney, and Kerry Kittles. Let's hope that these four young players have as much success in the NBA as they did as Villanova Wildcats.